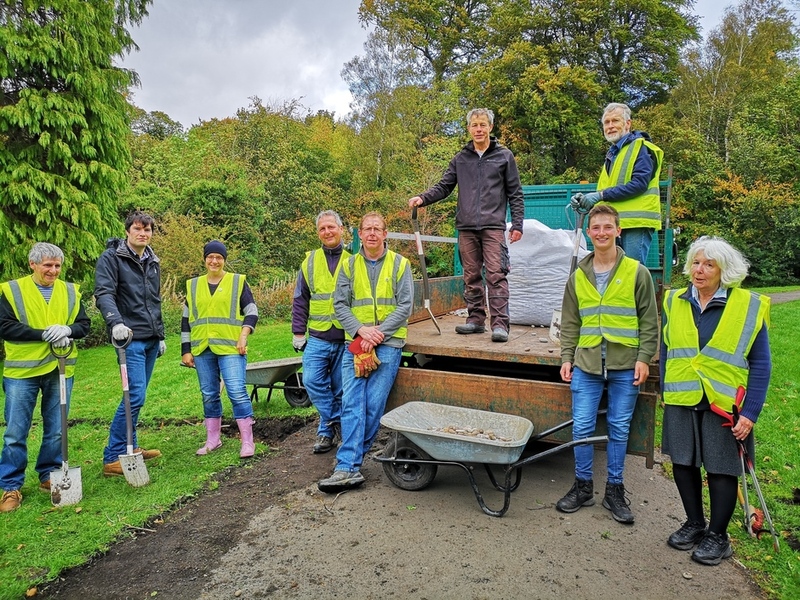 Welcome to our gallery of photos from Friends of Linn Park Events. 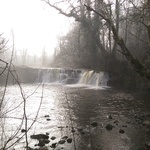 We have also included some beautiful images of wildlife or landscape taken within the Park. If you have an image you would like to share with us then please get in touch either via our Facebook Page; Love Linn Park or contact us. 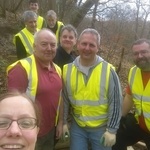 We got together with the Glasgow Ramblers, led by our Countryside Ranger, to improve and to build more steps along the walkway of the Magnificent 11. 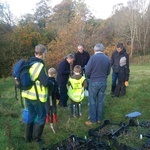 A wonderful day tree planting in the Park! 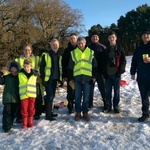 We planted 420 trees supplied by the Woodland trust amongst some sunshine and snow. Thank you to all the volunteers! A lovely event made possible by one of our young volunteers. We put up 12 boxes in the Park and received sponsorship of 13 more to be put up in the Autumn. 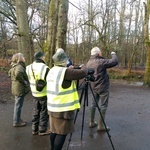 RSPB Glasgow joined us on the day and we had great fun talking to Park users, getting some new members and a few surveys filled out. There was floating bird food, an impromptu litter pick and a brilliant muddy puddle to splash in! 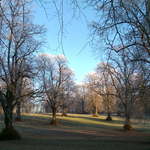 Friends of Linn Park took a frosty walk in the park to assess the work needed along the White Cart Walkway. We identified a few areas which will need drainage, new sleepers and also re-surfacing. 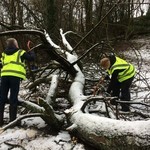 Looking forward to organising volunteer days in the new year to undertake the improvements. Our second official Friends of Linn Park day. 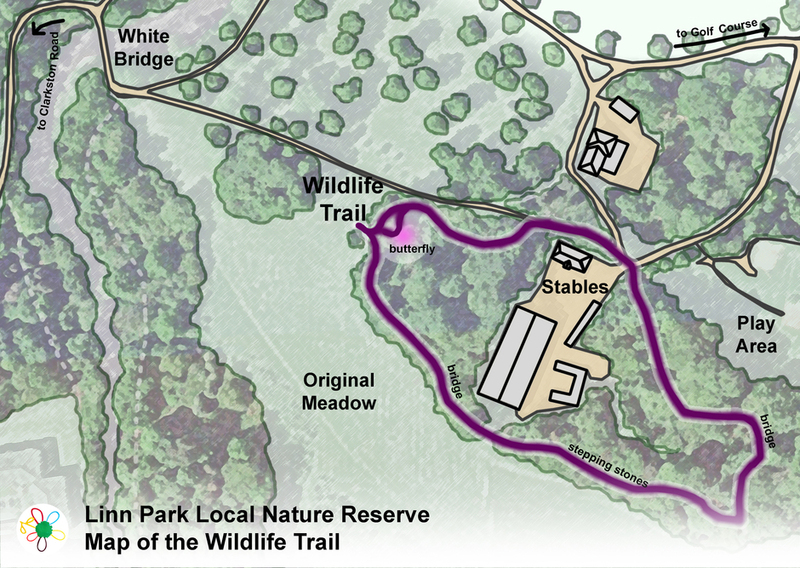 A group of volunteers planted out two glades with wildflowers, and we set up a stall to chat to park users. We had over 100 conversations with park users, and over 30 surveys filled out on the day. The volunteers got over 400 wildflower seedlings planted into the glades, and spied a young deer among the trees. At the last moment of the session we spotted a kingfisher from the white bridge! We hope to follow up on the survey results early in the New Year. 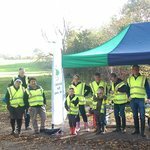 A joint volunteering day with 'Walk the Magnificent Eleven'. 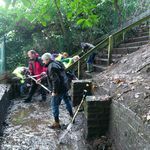 Improvements were made to the steps at Milholm Road. Plenty mud was shifted off the steps, a drainage track was dug out and laid on the bottom platform and the steps were re-surfaced. 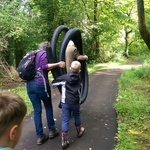 A litter pick around the area was carried out. Our first official Friends of Linn Park day. 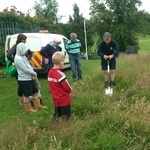 A group of volunteers cleared two glades for wildflower planting, and we also set up a stall to chat to park users. 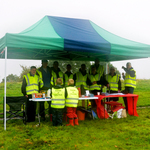 Despite the rather wet day we managed to have over 60 conversations with park users and 20 people were happy to take temporary shelter to fill out surveys. 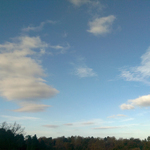 A joint volunteering day with 'Walk the Magnificent Eleven'. Improvements were made to an area of path near the beach area of the White Cart Walkway. 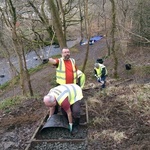 A drainage track was dug out and laid and a litter pick around the area was carried out. 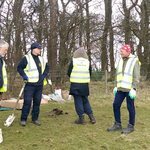 A volunteer day of planting wildflower seedlings into the Simshill Meadow. This will increase bio-diversity and provide better attractions for birds, bees and butterflies. 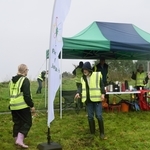 Over 200 seedlings were planted on the day and a corporate planting event the next day further improved the meadow.